It’s silly isn’t it, that we should invest all of our faith in something we can’t see, can’t smell or touch. We arguably suggest to ourselves, that relying on our gut instinct alone is the only tool we need to help us make life changing decisions. Commitments, resolve and conclusions that often shatter the only life we have known, or at the very least the life we have lived for many many years, we implement decisions based on a feeling we get that we can’t seem to deny. Our gut instinct does not lie to us. 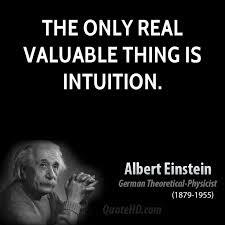 Our intuitive nature is based on actual significant information that our Soul knows we need to pay attention to. Everything we feel inside of us is indisputable, if the ingredients of our situation or circumstance is causing us to wonder, question or feel uncertain, if this is the case then a vital element in the receipt of our existence is missing. Our Soul can’t make something work for us in a positive way, when one or more principal, major or critical ingredient is absent. When this is the case, we get those gut feelings to help us to recognize the short comings and the disfunction we are trapped in, so we can get out and do something about it. Is it indeed silly that we should trust life shattering decisions on a ‘feeling’, NO, our intuition is our innate instinctive most logical piece of who we are, it is the only darn thing that makes any sense at all sometimes, our work is to have confidence in it’s ability to keep us safe guarded, against what we don’t need in our life any longer, or at all. Our intuitive instinct doesn’t entertain itself in drama, this behaviour we leave up to our Ego, when you get a feeling that you want to act on, what are the clues, if it’s your gut feeling – everything will seem to stand still in an ocean of calmness, your body and your mind feel at peace with one another and everything around you stops spinning. Where do you need to put your faith today, don’t be afraid, you will be supported beyond the decision, the Universe has your best interest in mind, always!